Snow removal can be a harsh and unsafe process in the winter time. Brothers Outdoor Service provides a reliable snow plowing solution that will leave you stress free. We understand the winter months can be a pain to deal with, especially when snow seems to fall at any point in time – whether you are prepared or not! Our snow plow services are available during storms 24/7. Let us handle your snow plowing in Brookfield CT and the surrounding areas. Give us a call and we will remove your snowy stress this winter. We service Newtown CT, Bethel CT, New Milford CT, Brookfield CT, Danbury CT, Roxbury CT, and the surrounding areas. 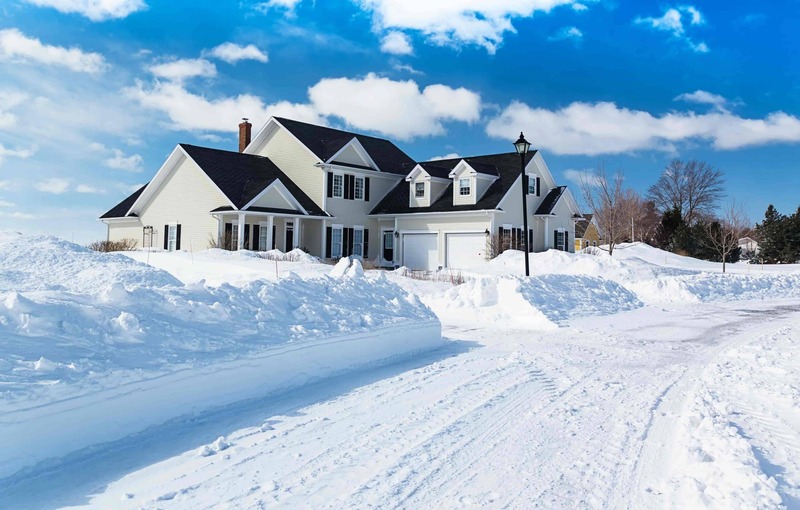 Keep your property clear and safe during the harsh winter months. With services provided 24/7 during storms for residential and commercial properties, Brothers Outdoor Services is your go to plow service. We offer per push and per season programs. Let us take the pain out of your back this winter. If for some reason you decide you do not want snow plowing for a particular storm, please notify us 24 hours prior to the storm starting . If we do not receive an email notification 24 hours or more before the start of the storm, you will be billed for the service whether we do or do not plow. The reasoning behind this policy is efficiency. Storms are challenging and it makes it even harder when we have to delete or add driveways to a schedule when we are working diligently provide timely services. Please mark your driveway. Markers much be placed at the beginning of the driveway and run on both sides placed every 20 feet. If there are obstructions within 10 feet of the driveway, please mark those obstacles with at least two markers. Obstacles include well heads, septic lids, electrical, etc. If these obstructions aren’t marked we cannot see them under snow and we will not be liable for any damage. Please have vehicles stowed in the garage or an area away from the driveway. This will assure a timely plow. We begin plowing when snow accumulations reach two inches of snow or more. If we get a smaller storm of 5 inches or less we will typically wait until the end of the storm. This allows us to keep costs down and service each customer with efficiency. We thank you for using Brothers Outdoor Services for all your plowing needs. Larger storms pose several challenges so please be patient. We are very well equipped but we cannot control severe conditions. We will always air on the side of safety.